Dot Line's Manual Hot-Shoe Flash is a basic flash for use on a camera hot shoe, and can also be triggered using a PC cord (not included). 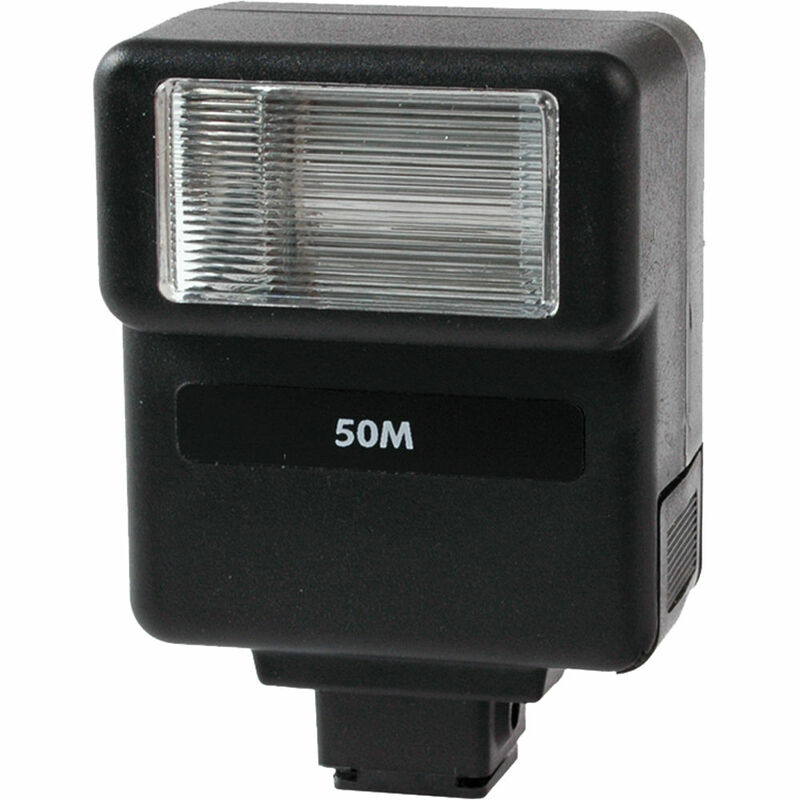 The flash has a guide number of 50' at ISO 100 with coverage of 50mm and operates on 2 AA batteries. This flash is not for use with digital cameras. It will recycle in 6-8 seconds. Box Dimensions (LxWxH) 5.2 x 4.6 x 1.7"
DL-50M Manual Flash is rated 4.0 out of 5 by 1. Rated 4 out of 5 by Anonymous from needs to come with sync cord got sent a changyin CY-20 its equal to the dotline just wish it came with a cord. Which PC cords will work with this flash?